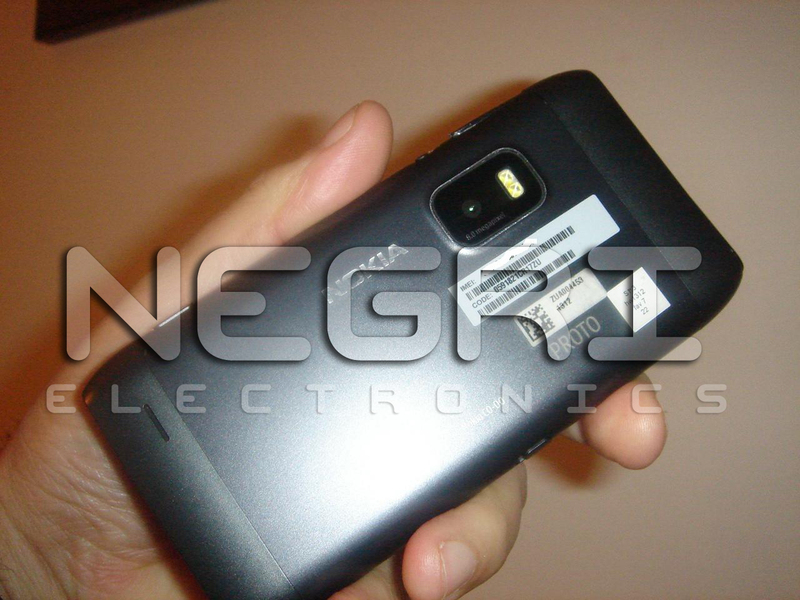 Nokia N9 Leaked Photos! Or is it actually the Nokia E7? QWERTY Slider, N8 design, Ridiculous screen clarity, 8MP. For many moons now we have seen the leaked image above. Some called it the N9, others called it the N8, supposedly sporting 4″ screen with 8MP camera and 720p video recording amongst a host of other features. For one thing it runs Symbian. NOT MeeGo. 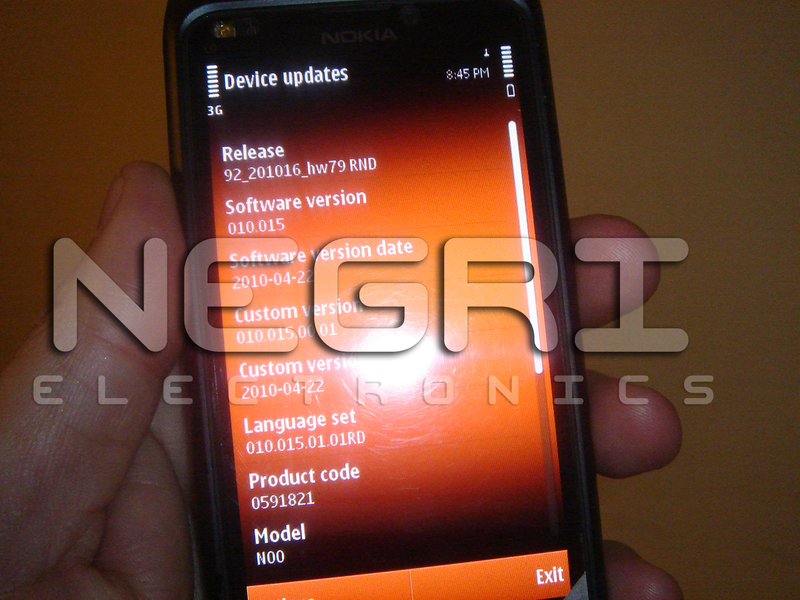 So how can it be Nseries if N8 is the last Symbian Nseries? N9 is the highest N and was said to be on MeeGo. [Update. Apparently with the new naming convention, the single digit does not mean only one physical device, e.g. N8, but a tier of devices. There will be at least 3 N8 variants. 16GB, 32GB and QWERTY variant with lesser camera. N8-01, N8-02 or whatever. I hope that is not their final designation is it sort of wrecks the simplicity of single digit N. That would have been ok if it were once a year. We know Eldar Murtazin in on holidays with one of these. 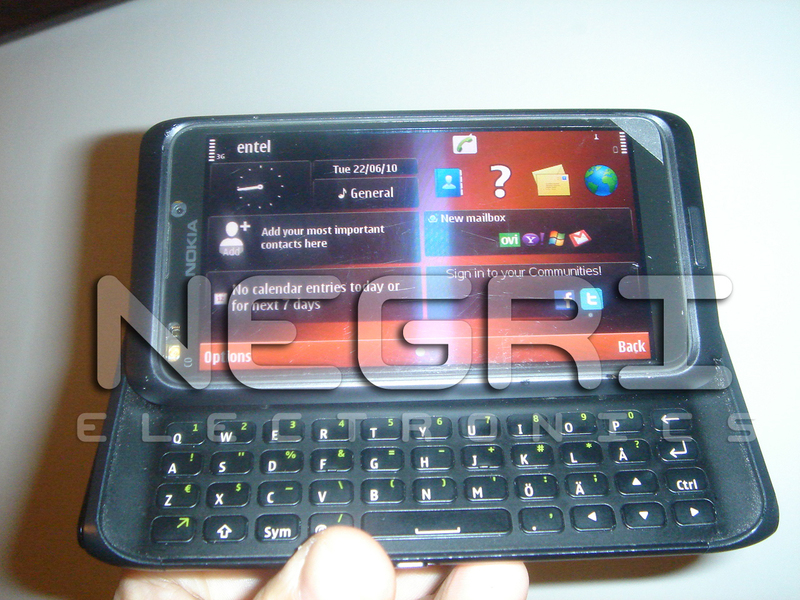 In his N8 review, he said he didn’t have a Nokia N8 with him, but an analogue with QWERTY slider. Another thing he said is that he won’t be the first to leak images. Now NegriElectronics has let the cat out of the proverbial bag, ah well, the gates of prepublish proto hell are opened! To those wanting a Symbian^3 (or possibly a Symbian^4) handset with N97 like tilt QWERTY, this is for you! Check out that 4 row keyboard. Again it seems there is NO dedicated numbers button, however, the spacebar is in the middle! Something worth noting is the apparent, “Ridiculous screen clarity”, well actually they said REDiculous, so unless that’s a pun on the red theme, this maybe the first Symbian Touch to have more than 640×360 pixels. Possibly at least WVGA or possibly somewhat higher, oh say to the realms of the “ridiculous” Retina Display?. They may be talking about clarity of the display tech. But they must have seen AMOLED before and it certainly won’t be having Samsung’s Super AMOLED. Similar dark grey colouring to dark grey N8. More anodized aluminium? My fav colour. Man, if this had the 28mm wide angle and xenon flash I might have gone for this one. I’m totally digging this unified design. This shape screams Nokia and the upcoming explosion (not death) of Symbian as it gradually takes over low tier handsets. More details should appear soon. Who’s publish their “insights” first, NegriElectronics or dearest Eldar?